In the past few weeks, rumors about a PlayStation 4 exclusive Spider-Man game have started circulating online. One of these rumors stated that the game was in development by Sucker Punch, the team behind the inFAMOUS series, a team that would have been well suited to develop a super hero open world game. The Sony E3 2016 press conference has finally confirmed some of these rumors, shedding some light on this upcoming open world game. The new Spider-Man open world game is indeed real and coming to PlayStation 4, but it’s not in development by Sucker Punch, but by Insomniac, the team behind the Ratchet and Clank series (not to mention Sunset Overdrive). Bryan Intihar, Creative Director at Insomniac, shared more on the team’s passion for the Marvel Universe and how things came to be. While much is still unknown, it’s been confirmed that the PS4 exclusive Spider-Man game is not based on the upcoming movie and that it will feature Peter Parker as fans never saw him before, a more seasoned hero who is more masterful at fighting crime. 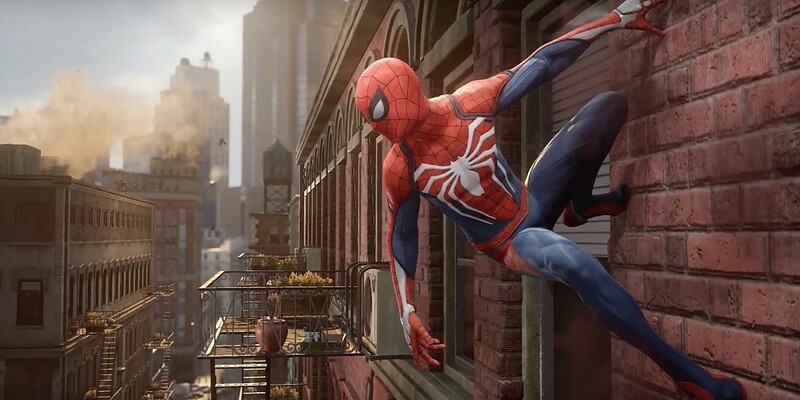 The game’s story will make Spider-Man’s world and Peter Parker’s world collide, focusing on who is the man under the mask, and who the man becomes after he puts the mask on. Spider-Man is currently in development for PlayStation 4. A release date and a final title have yet to be confirmed.